I think we should be talking up invoice finance, not running it down. 98% of existing users told our independent poll that they would recommend the service to other businesses, and the volume of complaints to the ABFA (now part of UK Finance) has been tiny, 0.15% of clients each year, as a proportion to the number of businesses using this type of finance. I saw a post by one of the specialists within the recruitment invoice financing sector, about what you should expect if you use a traditional invoice finance company. Whilst for most of the points you may be able to find one company for which it is true, it was really a summary of all the very worst terms that you might receive if you picked the wrong financier. Also, I don't think any one provider would be guilty of all the points that were mentioned. I thought I might correct a few of these misunderstandings by giving a more balanced view of what is available. "Headline figures don't match the reality" - the rates are clearly stated by all the main providers, many of them have gone to great lengths to make sure that there are no hidden fees, in an attempt to get away from this type of criticism. There will normally be a tariff of additional charges although in some cases a single fee offering is provided, which includes everything. "There is a high churn among financiers leading the a culture of charging agencies at every possible gate to ensure profitability" - there may have been a high churn in the past but now it is very much a stable market. On average a customer uses just 2.14 different providers over the course of an average client life of 5.28 years. Any broker will tell you that it is hard work trying to move customers between providers - everyone tries hard to hold onto their existing clients. "Minimum amounts of business" - some providers do include a minimum volume requirement, but that is not the case across the board. Indeed the vast array of selective invoice funders all boast no minimums. Some whole turnover providers don't have them, particularly in the recruitment sector. Often a minimum is included with the function of ensuring that the pricing reflects the volume actually transacted. For example, any business could project £10 million turnover, achieve £200K and then reap the benefit of a £10 million style costing. Some of the charges in the selective market are ridiculously low - we recently received a monthly commission of 22 pence, yes that's right 22p, in respect of one customer, who has no minimums. You automatically pay a set up fee - again not always the case. Often these are not charged, particularly in competitive situations. Again, with some of the selective "no minimums" providers a few hundred pounds up front may be all the fee they get for setting up a new facility. "Interest on monies advanced" - charged in addition to service fee. Yes in some cases, although single all inclusive fees have become more common at the SME end of the market. Often clients get a better deal by having a separate service charge and discount charge, it means you pay for exactly what you use and there is no additional margin loaded into a single fee structure. A business plan is required - not the case in most situations. The exception might be if it was warranted e.g. seeking very high levels of funding, a financier might want to see something like that to understand the business strategy. It is very rarely a requirement. "Personal guarantees stretching to £60K+ will tie your agencies risk to you personally" - well PGs are required in most cases, but we have completed deals without them. Often the financier wants them to ensure there is no fraudulent trading, and that the prime movers assist with any collect out of the sales ledger, should it be required. Non recourse can almost remove the risk from customer failure. As for the £60K+ figure, typically PGs are set at about 20% of the level of funds used. This would typically be about £100K FIU so about £20K might be more usual. "It can take 4 to 6 weeks to secure funding" - no, many can turnaround a deal in a few days (or shorter if required). The pace tends to be led by the customer. Total funding is capped by your turnover and details from your business plan - the facility limit tends to be risk monitoring tool, rather than a restriction. In most cases, when you approach the limit the funder will review and increase it. "Traditional financiers demand that money advanced is spread across several clients" - again this is not always the case. We are at present arranging a deal for a temporary recruitment client where 80% of sales are to a single RPO debtor. "It's difficult to leave" - as mentioned above many selective providers offer no lock in whatsoever. There are 6 month trial periods available, and notice of termination is normally a few months or even less in some cases. At least one of the bank backed providers offers 1 months notice, and even 2 weeks notice in some cases. The difficulty is more likely to be replacing the benefit of the funding that you receive, as traditional forms of finance tend not to be so flexible in the amount of funding they provide. "Notice can lead to funding being capped" - again any reduction in funding during an exit situation tends to be agreed with the client. For example, if they are intending to self fund, the client and the provider may develop a plan to reduce the funding over a period of time. Reducing funding in an exit situation, for no reason, is not something that we come across. "Most factoring providers have very limited technology" - this is not the case. There are a number of comprehensive systems used by various providers, and a few exceptional ones that have won awards. App based offerings are available. The were a few more points that I could have taken issue with but the important ones are covered off above. The reality is that satisfaction is generally very high, with 98% of users willing to recommend their provider to others. In addition, there are very low levels of complaints with just 0.15% of clients complaining to the ABFA each year. 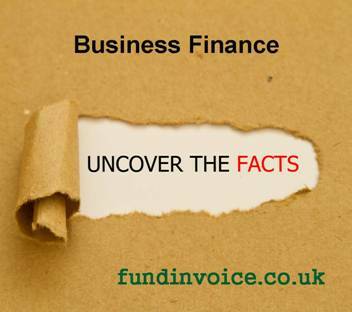 If you need help with any of the issues mentioned above, we would be pleased to introduce you to invoice finance companies that can help, and that can provide excellent rates.